Lion Head Cavalry Sword | BUDK.com - Knives & Swords At The Lowest Prices! This replica an early cavalry saber is an ideal collectible piece or for use by reenactors. 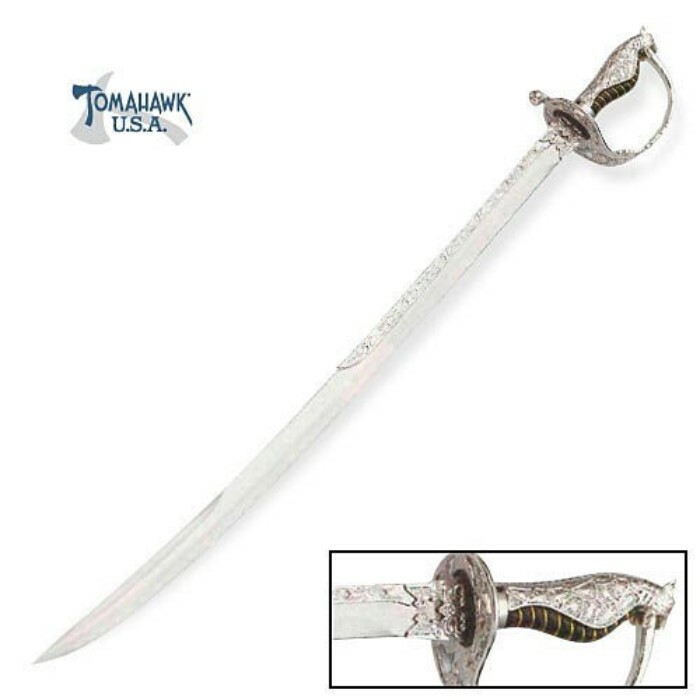 This sword features a stainless steel 28 1/2" blade with a mirror finish. The handle offers a leather grip surrounded by an intricate silver plated lion head guard and pommel design. The handle and nearly half the length of the blade are beautifully accented by distinctive engravings that offer a touch of elegance to this traditional cavalry sword. This saber measures 34" overall and includes a leather sheath. Tomahawk, XL1107.